Take in a special whisky dinner at Mezzo Restaurant, enjoying an exquisitely paired meal and the golden nectar that gave Whiskytown, Canada it’s name. On Friday, April 12, 2019, Mezzo chefs, Pat Lizzi and Ryan Castellano, will work with Beam Suntory Brand Ambassador, Mike McLean, to come up with the perfect pairings of delicious food and whisky. 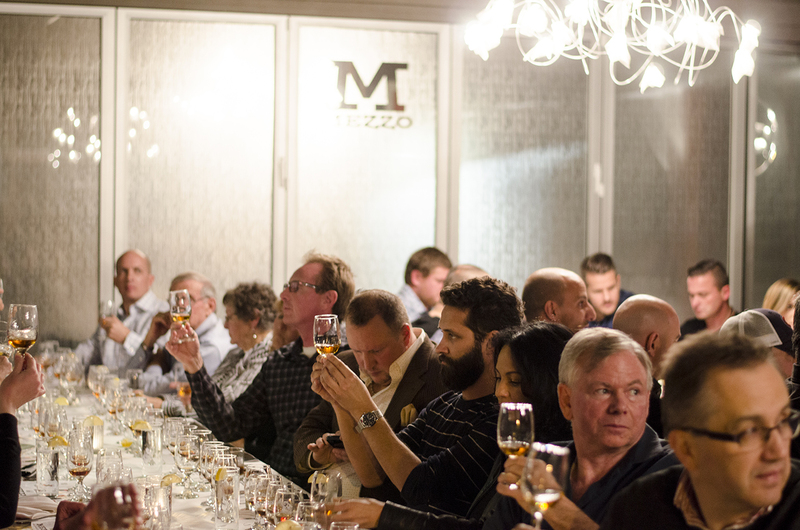 Mezzo Restaurant hosts whisky dinners, celebrating being located within Whiskytown, Canada. Mike McLean is the Program Coordinator and Lead Trainer for Mixxit Canada. In this role, he is responsible for training bartenders and engaging guests across the country as a representative for Beam Suntory brands. With over twenty-five years experience in the hospitality industry, Mike is known as an entertaining and educational presenter. Tickets are limited and are available for $65 each. Oysters served with Scotch mignonette & Scotch cocktail sauce. Paired with Laphroaig Select. Tempura dusted mussel, shrimp, and calamari a top a bed of tempura vegetables drizzled in a sweet sesame whisky mayo. Paired with Canadian Club Barley Batch. Fresh beets, mixed greens, kale, walnuts, grilled pepper and onion, tossed with a citrus Toki dressing and topped with goat cheese. Paired with Suntory Toki. Scotch/whisky braised lamb shank and roasted tomato sauce in house made cannelloni. Paired with Jim Beam Black. Wasabi pea encrusted salmon and beef tips in a Manhattan sauce served with sautéed rapini. Paired with Macallan 12 Triple Cask.